Structured data can be seen as data that provides information in a meaningful and descriptive way to the search engines. 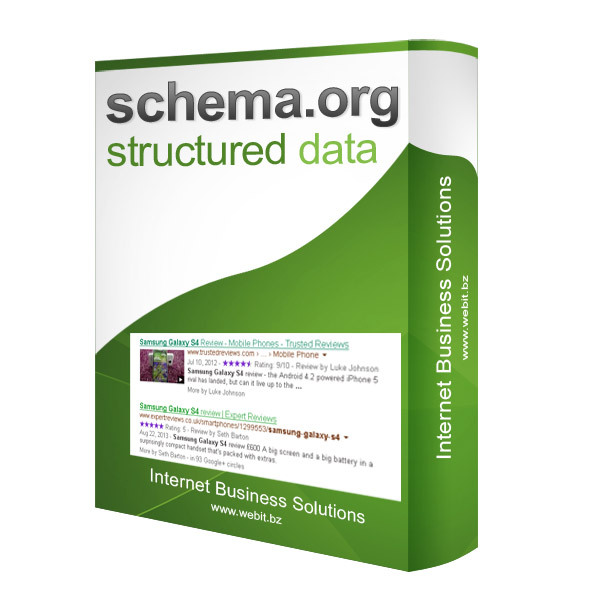 Schema.org is a setup that allows webmasters to embed structured data on their webpages which will be visible by search engines. This setup is fully compatible to search engines like Google, Yahoo, Yandex and Bing. See below an example SERPs (Search Engine Result Pages), the first and last results include rich snippets realized by adding structured data conform schema.org. For e-commerce this is a very important improvement, potential customers can see a product image, price, availability and rating before visiting the website. It invites a potential customer to click on it. 1. Content information that make more sense. One of the things that search engines are working on and constantly they get better and better is the relevancy of content that they retrieve for users when they perform a query and thus structured data is one step towards that direction with the appearance of rich snippets on our SERPs. 2. Increased visibility on search engines. So far it has not been proven yet that structured data can influence the rankings on search engine results, but what is self-explanatory is the fact that rich snippets are holding more space on the SERPs. 3. Increased CTR (Click Through Rate). When users see the information that is available on SEPRs it is most likely to click on the type of rich snippets that are most relevant to the information that they are looking for. More clicks are most likely to lead to increase number of users which are most likely to convert. 4. Increased ROI (Return Of Investment). Users that are able to retrieve relevant content to what they are looking for and by finding rich snippets it is most likely for users to click on a rich snippet and it is most likely for the users to spend more time within the website and proceed to an online purchase. You need to bear in mind that these rich snippets can contain reviews of a product or online ratings which operate as votes of confidence of other users for this product, thus it is most likely for a user to trust a site with high ratings and reviews and consecutively it is most likely for the user to purchase something online. -Structured data tags will be added to your product page for the available data on that page *. -The Structured Data Testing Tool can be used to verify the changes. 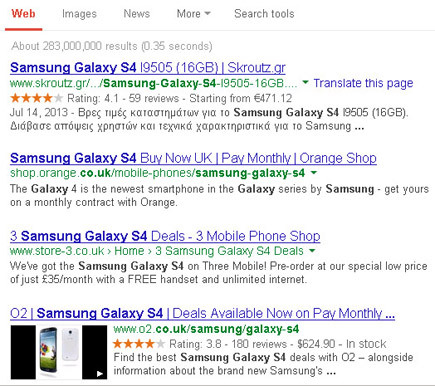 -Within 6 to 8 weeks your products will be listed with rich snippets in the search result pages. * For extra structured data tags (articles, information pages) or specific request there might be an additional charge, we will provide you with an economic quote in advance.